State-owned mortgage financing company PT Sarana Multigriya Finansial (SMF) has allocated Rp 1.7 trillion (US$119.28 million) for government-subsidized housing loans. SMF, which is under the Finance Ministry, is to cooperate with 14 banks, including state-owned Bank BTN and a number of regional government-owned banks, to distribute the loans under the government’s housing loan liquidity (FLPP) scheme. "The distribution of the loans is part of our commitment to meet the government’s target to build 1 million houses for low- and middle-income people this year,” SMF president director Ananta Wiyogo said in Jakarta on Thursday after signing the cooperation agreement. He said SMF would contribute Rp 1.7 trillion of the Rp 7.1 trillion stipulated for the program by the government, while another Rp 5.3 trillion would come from an agency of the Public Works and Housing Ministry. The loans are for civil servants, military personnel, police officers and private employees with a monthly income no higher than Rp 4 million. 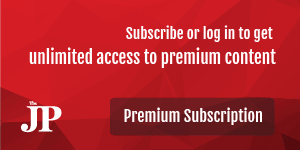 Through the FLPP scheme, they enjoy a fixed interest rate of 5 percent for 20 years. Ananta said most of the banks that signed the agreement had been involved in the distribution of mortgages under the FLPP scheme in previous years, while SMF had been involved since August last year. SMF’s main objective is to encourage the formation of a strong and efficient primary mortgage market by encouraging mortgage lenders to sell mortgage receivables efficiently through a securitization transaction so they can distribute mortgages with fixed interest rates over a longer period of time. Ananta said since August last year, SMF has provided mortgages of up to Rp 948 billion, involving about 29,000 recipients through 10 banks. 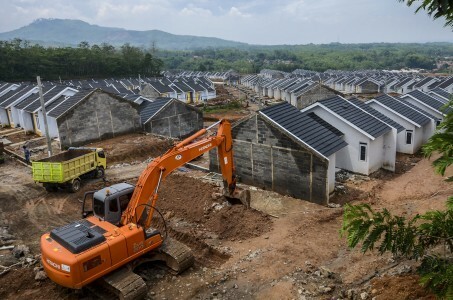 The program to build 1 million houses a year was launched by President Joko “Jokowi” Widodo in 2015 to reduce Indonesia’s home ownership backlog from 7.6 million to 5.4 million by the end of this year. Under the program, the Public Works and Housing Ministry and developers, along with regional administrations, have to build 700,000 subsidized houses and private property developers are expected to construct 300,000 non-subsidized houses.